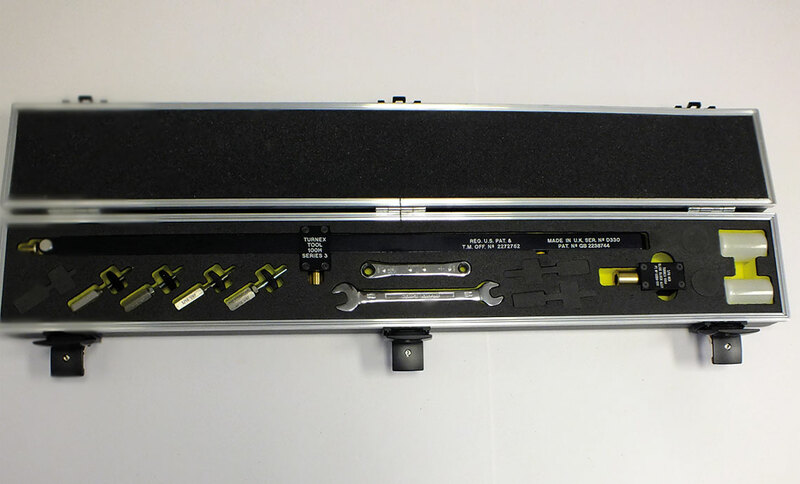 The TURNEX300 has a straight pressure lever bar with standard slide block and bit holder. A special slide block is also included in the kit for heavier use. Also included are ¼ and ⁵⁄16 UNF fixed adaptors and ¼ and ⁵⁄16 UNF adjustable adaptors. The Turnex300 is designed for windscreen and fuel tank panel removal on all heavy aircraft. Effective up to 6” screw pitch.